Contratación is a luxury apartment with desgin furnishings, ideal to those who wish a very special stay in Seville. It’s an apartment composed of two bedrooms, both woth two individual beds. The first of them is accesible from the living room and is composed of a little living room with individual sofa bed, a bedroom with two individual beds and a complete bathroom. The second bedroom is really wide and has as well a complete en suite bathroom. The living room is spacious, tastefully decorated and has two exterior balconies that can be considered as two small terraces as it’s possible to sit for reading, eat or enjoy a glass of wine contemplating the historical Plaza de La Contratación. The kitchen, having its ventilation outlet through the living room, it’s spacious, modern and totally equipped. Plaza de Contratación is placed just next to The Alcázar of Seville, a few metres from The Cathedral. 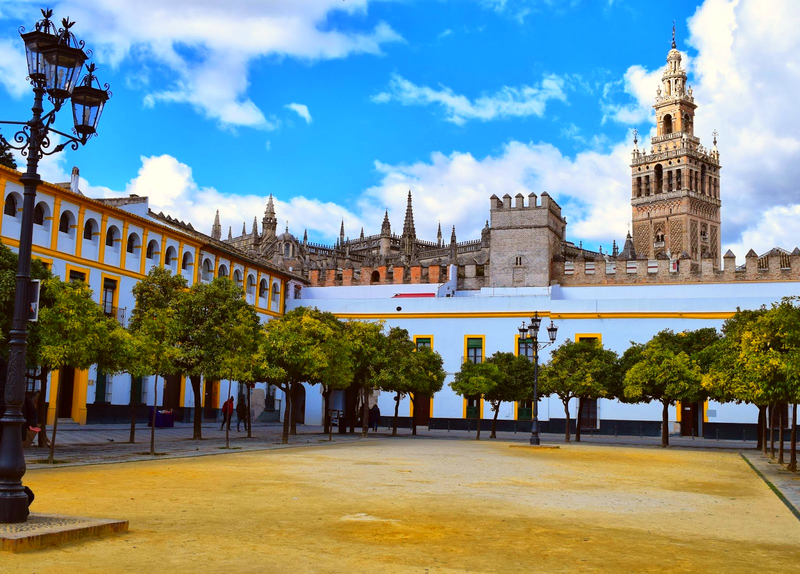 It’s one of the most exclusive placed in the city, in the historical part of Seville. You’ll be able to enjoy all main sights being just a step from the apartment. In addition, the area is very quiet at ay time, although you’ll finf many restaurants, tapa bars and shops in the surroundings.